Girl power: Cincinnati beer made by women for WOMEN. NORWOOD, Ohio — Listermann Brewing Company is celebrating women with what it does best: making beer. “I would just like to break the stereotype that only big bearded men drink and brew craft beer,” marketing director Kristen Ballinger said. On Monday, female staff members poured and stirred the beginning of a new beer. They haven’t picked a name for it yet, but it will be one of three new farmhouse ales. Proceeds will go to Women Helping Women, an organization providing support services for women who have been abused. “I hope that it helps women feel more comfortable in getting involved and approaching these breweries that have projects like this or to want to brew a pilot batch,” Ballinger said. Each farmhouse ale will feature designs by three different local female artists. Katie Jaeger’s assignment is the one being brewed Monday, and the ideas are flowing. “One of my ideas is kind of a spinoff of Rosie the Riveter. I’m thinking a strong woman, in a field, she’s harvesting hops, and she’s kind of got that go-to attitude of we can do it,” said Jaeger. 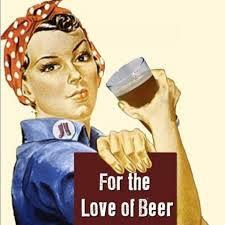 And, of course, the beer will debut March 8, which is International Women’s Day. “I think that beer is a huge part of our city, and I know that there are not a lot of women who are in the industry. So I think just being a part of our community and adding to that is important,” said Jaeger. 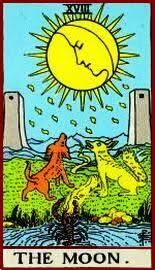 Why Girl’s personality card from the Tarot is THE MOON. The energy carried by that particular tarot archetype is an energy that is dominant in your personality and/or deeper self. “As if you were on fire from within. The moon lives in the lining of your skin.” PABLO NERUDA.